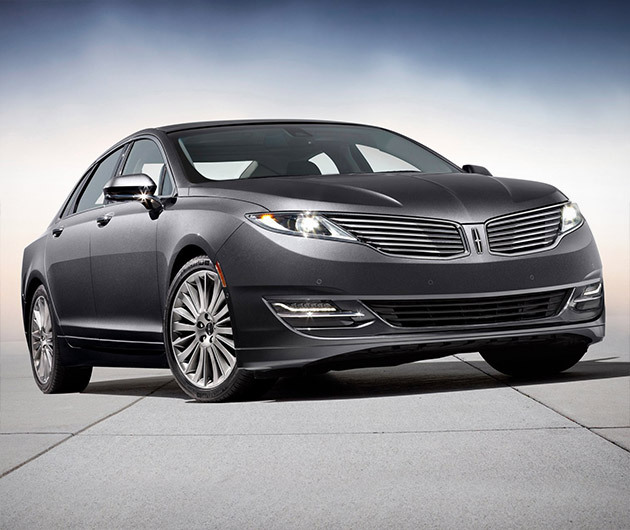 An all-American upstart looking to, metaphorically at least, shove the likes of Cadillac and the Germans off their luxury highways, the 2014 Lincoln MKZ fares more than well against its foes. The fluid-like coupe design is a real head-turner, embracing and embellishing all that is great about the company (especially that split-wing grille), it also purrs with ambition. There are three powertrains to choose from. The 2-liter turbocharged 4-cylinder offers 240-hp and a torque of 270lb-ft, while you can expect 300-hp and 277 lb-ft of torque from the 3.7-liter V6. The latter engine has been given respectable ratings of 19/28mpg (front-wheel drive) and 18/26 mpg (all-wheel drive) by the Environmental Protection Agency. 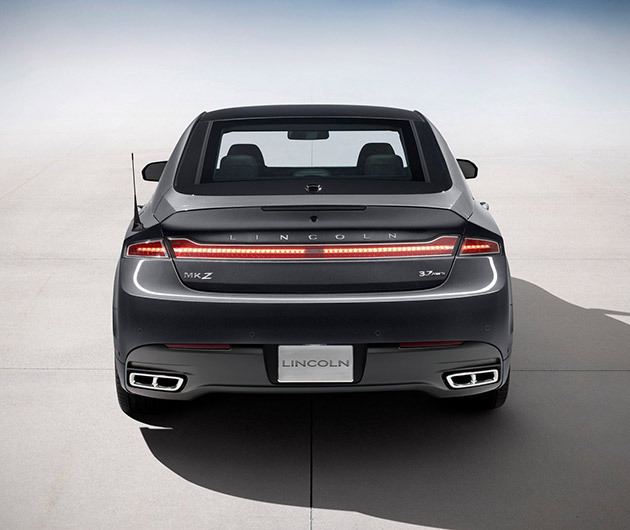 But if it’s green credentials that float your boat, the masterful Hybrid 2-liter gas/electric model boasts the admirable distinction of being the most fuel-efficient luxury hybrid in all of America. “Elegant simplicity” was the brief that the designers worked toward, and they’ve pulled it off spectacularly. The fully retractable 15-sq-ft panoramic roof looks absolutely superb, offering the views of a droptop without the gusts. That iconic spilt-wing grille has been further modernized to accentuate dramatic LED headlamps, lending an even more prowling persona to the ride. The adaptive headlamps also automatically turn with the power-assisted, tilting steering wheel to fully illuminate those nite-time bends. An auto-high beam is optional, whereby the lamps will dim and brighten depending on whether there is other traffic on the road ahead. Eighteen-inch wheels are standard, as is the push-button start, cruise control and dual zone climate control. The driver seat even has memory, and, along with the passenger one, comes with standard heating and optional cooling. Controls for the 6-speed automatic transmission have been moved to the center panel, ergonomic buttons now resting in a vertical line. The instrument panel dash sports genuine wood trim and all seating is leather. Interior LED lighting offers a luxurious, soothing glow while stress is further released thanks to Active Motion front seats. They’ll even give you a massage. Active noise control means your ears will be as comfortable as your body too. Bad at parking? Standard Active Park Assist will practically do it for you, and Adaptive Cruise Control, Collision Warning and a Lane-Keeping System are standard. 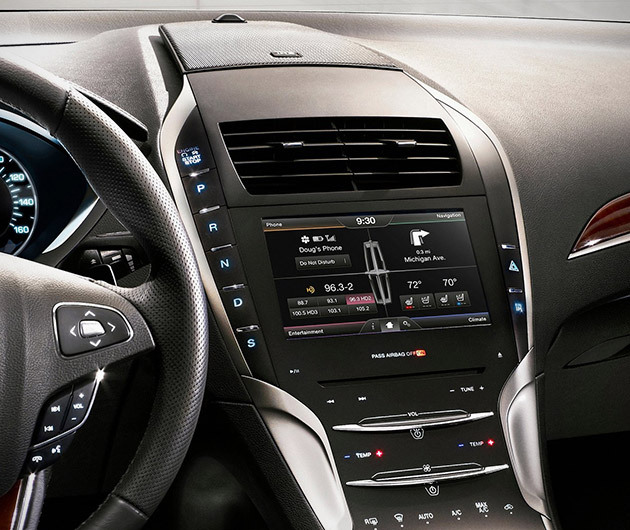 Sync and MyLincoln Touch are an automotive technological revolution. Available is the Blind Spot Information System (BLIS) and Cross Traffic Alert. 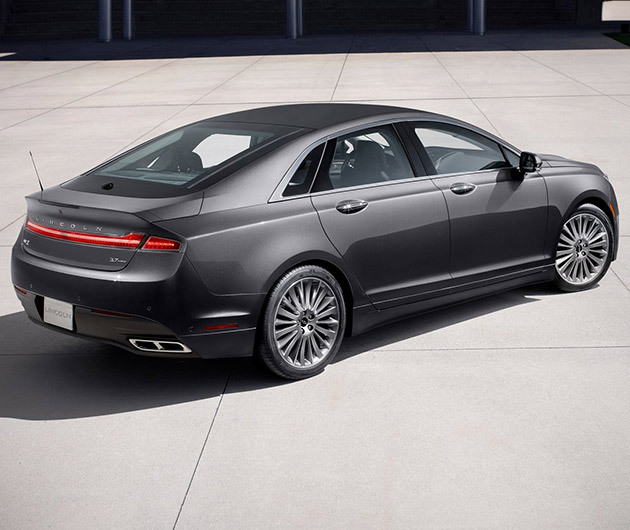 Opulence continues in the form of an optional THXII Certified Audio System custom-tuned to each individual Lincoln. Seven hundred watts of power is blasted through 14 strategically placed speakers courtesy of a pair of 6-x9-inch subwoofers. Suspension is controlled and adjusted via an advanced suite of sensors, further enhancing the braking, steering and handling. 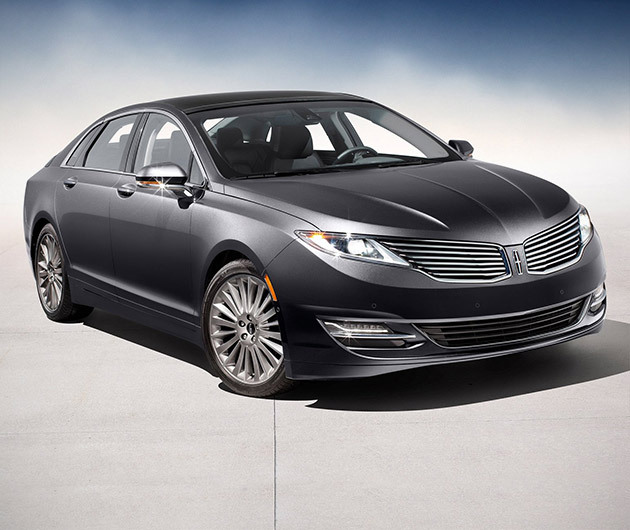 Fit for a king, it’s the ultimate American luxury ride.